Our system of legal redress adopts a two-tier structure; cases are first heard before and decided upon by the courts of first instance (such as the Court of Magistrates and the Civil Court, First Hall, in case of civil matters). Thereafter, any grievances can be addressed to the Court of Appeal, being the court of second instance. The procedures before the appellate courts are predominantly a revision of the merits that were previously heard and determined before the first instance courts. The Court of Appeal then delivers its own judgement, which judgment cannot be appealed from. The latter judgments become what is legally termed as res iudicata, loosely translated into “a cause [already] judged”. In Malta, there is no court of third instance, akin to the foreign concept of the Court of Cassation. What is determined by the Court of Appeal is so determined conclusively. Essentially, it was said that this stance is indispensable for justice’s sake as it attempts to exclude possibilities of never-ending procedures or conflicting judgments, warranting legal certainty and uniformity. There are merely two exceptions to this dearly held principle: one is the possibility to overturn a judgment effected in breach of a constitutional provision or a fundamental human right or freedom. The other, is the institute of Retrial. This institute is perhaps one of the most restrictive legal procedures under Maltese law, mostly because it is intended to reopen what otherwise would have been considered as a final judgment. It is only natural therefore that in deciding such cases, our courts tread carefully. This institute of Retrial was the crux of the matter in the case of Alfred Mallia et v Alex Vella et, decided by the Court of Appeal on March 29. The restrictive nature of the institute of Retrial is evident in the fact that relief may only be obtained if one of the 12 grounds listed in article 811 of the Code of Organisation and Civil Procedure subsists. There is little room for interpretation; this list is neither merely indicative nor capable of any broadening. It is indeed an exhaustive list of causes that give rise to retrial. Two of these grounds feature the concept of ‘error’: error with respect to the wrong application of the law and an error resulting from the proceedings or documents of the case. These grounds formed the basis of the plaintiffs’ claim in this case in their attempt to obtain retrial from a final judgment of the Court of Appeal. 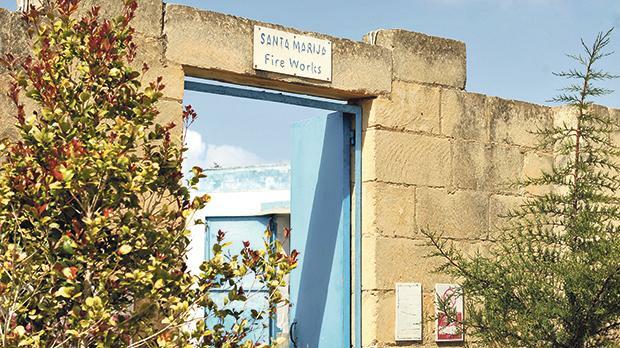 This case initially concerned the grant of a building permit for a fireworks complex that was owned by the Santa Maria Club of Mosta. Previously, the court in both instances had decided that such a permit was null, because the complex breached the distance requirements, set out by the Explosives Ordinance. The relative law had provided that fireworks factories had to be at a distance of not less than 183 metres from any inhabited place, from any street that was regularly used by motor vehicles “or” from any other street within 183 metres of which it would not be advisable, in the opinion of the competent authorities, to establish such factory. The authorities had issued the grant on the basis of the third criterion. Therefore, the determining point in this case was whether there was any road that was regularly used by motor vehicles in the vicinity of such factory. The plaintiffs argued that the Court of Appeal had wrongly applied the law when it had disregarded the fact that, the above-mentioned criteria were in fact alternative and not cumulative. Hence argued that the competent authorities were at liberty to choose between the “motor vehicle” criterion or the “any other street” criterion. The problem was constituted by the fact that situated close to the factory in question was an agricultural road used by farmers driving their field machinery. Because of this road, the Court of Appeal had annulled the factory’s building permit since it found that the building was in breach of the “motor vehicle” requisite. The plaintiffs were now contending that the term “motor vehicle” did not comprise agricultural machinery but referred to conventional vehicles, such as cars. They claimed that the court had erroneously disregarded evidence that showed that this agricultural road was not suitable for cars to use. Therefore, it stated that the competent authorities had correctly issued the permit on the basis of the “any other street” criterion, as this was the applicable requisite. The plaintiffs argued this gave them the right to seek retrial on the basis of ‘error’. In its judgment, the court reiterated that principles of retrial must be restrictively interpreted, especially to avoid chances of creating a third instance precedent. With reference to factual errors, the court emphasised that this must essentially be a fact the veracity of which was incontestably excluded, or a supposition of a non-existing fact. The documents related must therefore have totally excluded a truthful fact. Furthermore, in both instances the said error must have determined the judgment’s outcomes. Additionally, the court decided that, the error that was being claimed by the plaintiffs was based on a true fact – that such road was being used regularly by farmers. Hence no error was proven, therefore this claim was dismissed outright. Lastly, when considering the error of the law, the court established that such error must intrinsically mean that, objectively, the wrong law was applied to the given facts; thus, it is not a question of the court’s own interpretation. Therefore, if the right law were applied to the merits there could be no error resulting merely from the interpretation adopted by the previous court. Given that the judgment in question had established that such road was being regularly used, then it was correct to state that the “motor vehicle” criterion was applicable when the permit was issued, as such criterion would have excluded the corresponding alternative. In conclusion, it found that the plaintiffs had failed to satisfy the grounds for retrial, and therefore, dismissed the case. Mary Rose Micallef is junior associate at Azzopardi, Borg & Abela Advocates.